The Eighth Judicial District Commission on Judicial Performance recommends by a 10-0 vote that Judge Jolene Carman Blair BE RETAINED. 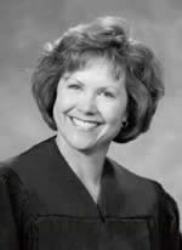 Judge Blair received her law degree from the University of North Dakota, where she had also earned a B.S. degree in Communications. Judge Blair volunteers as a coach for a high school mock trial team. Judge Blair was appointed District Court Judge for the Eighth Judicial District in 2001. Prior to her appointment, Judge Blair served as Deputy District Attorney in the Eighth Judicial District from1989 to 2001. She was in private practice in Colorado Springs from 1986 to 1987, and had previously clerked for the Honorable George E. Lohr of the Colorado Supreme Court. The Commission was charged with evaluating Judge Blair on integrity, legal knowledge, communication skills, judicial temperament, administrative performance and service to the legal profession and the public. The Commission interviewed Judge Blair, observed her in the courtroom, and reviewed opinions authored by her. In addition the Commission considered comments made in a public hearing and in writing, the judge’s self-evaluation, and the results of a survey of persons who have appeared before her as parties, attorneys, and jurors. The Commission was particularly impressed with Judge Blair’s knowledge of the law, preparedness and case management. She consistently treats participants in her court with respect and dignity. Judge Blair is committed to conducting fair proceedings and issuing timely orders that account for all facts and legal issues. The Commission found her to be a candid and dedicated judge who is committed to professional growth and diligence. The Commission is aware of the community’s concern surrounding the public censure of Judge Blair by the Presiding Disciplinary Judge on September 9, 2008, regarding her role as a prosecuting attorney in the Masters case prior to her appointment to the bench in 2001. The Commission believes this concern is relevant. This concern was discussed by the Commission and addressed directly with the judge. The Commission believes that, because Judge Blair’s judicial performance is outstanding, the community is well served by her continued presence on the bench.